Battle plan written in Azerbaijani. Battle of Goychay (Azerbaijani: Göyçay döyüşü, Russian: Геокчайский бой, Turkish: Göyçay/Gökçay Savaşı) or Raid on Goychay (Azerbaijani: Göyçay basqını, Turkish: Göyçay/Gökçay Baskını), were series of clashes that took place from 27 June to 1 July 1918, between Ottoman–Azerbaijani coalition forces led by Nuri Pasha and coalition of the Soviet 11th Army and Armenian Dashnak forces. The initial battle ended on 30 June, but minor clashes continued until 1 July. Being outnumbered six to one, the Central Powers were able to defeat Armenian–Soviet forces before reaching Ganja, then headquarters of the Ottoman Islamic Army of the Caucasus. The Ottoman–Azerbaijani forces seized control of the lands from Goychay to Shamakhi and ended Armenian–Soviet rule in the region as a result of the battle. The Shaumian-led Baku Commune decided to launch a military operation to prevent the Ottoman army from recovering in Ganja. Commander of the Military and Maritime Affairs Committee of the Baku People's Commissariat Grigory Korganov signed an order on 4 June and asked the Red Army to take action. He gave instructions to the Armenian–Bolshevik–Russian forces to capture the plain flat up to Yevlakh and seize the Yevlakh bridge. On 6 June Armenian and Russian Bolshevik troops set off from Baku to Kazi-Magomed (modern-day Hajigabul). They pillaged Kazi-Magomed and burned down the surrounding villages. The frontal forces of the military occupied the Syghyr Station on 11 June. Our intelligence branch is currently under heavy fire in Karrar Station. Our military forces are moving forward. The first branch of the Red Army forces led westward along the Baku–Hajiqabul railway, leading to the Myusyuslyu Station, while the other branch passed through Hajigabul and reached Kyurdamir. The Red Army forces in the region gathered here and attacked Kyurdamir. The resistance of the militia forces consisting of Azerbaijanis who tried to defend the city did not yield any results. The Red Army took control of the station, alongside the city itself. The occupation of Kyurdamir by the Bolshevik–Dashnak forces brought great nervousness to the coalition forces in Ganja. This was a serious hindrance to the advance of the Islamic Army of the Caucasus to Baku. The third branch of the Red Army also moved from the north of Baku. Moving along the Baku–Ganja highway to the north-west, they entered Maraza and Shamakhi. The Bolshevik-led Armenian forces attacked the village of Bijo, resulting in a bloody battle between the village population and 400 Armenian troops. The battle ended in a decisive Azerbaijani victory. Receiving an unexpected heavy defeat, the Bolsheviks sent a bigger invasion force to the village. Hearing this, village residents were forced to move to Aghsu and then to Goychay. After burning down Bijo, the Armenian–Bolshevik forced advanced to the town of Aghsu, then to the villages of Garamaryam and Bygyr. The 1st and 3rd divisions of the 11th Army captured Ismailly and its surrounding settlements in the north of Garamaryam. On the morning of 16 June, the 11th Army's 3rd division forces attacked the Azerbaijani, Dagestani and Georgian militants in the region. At the end of a bloody battle, which lasted over seven hours, the coalition forces were forced to retreat to Goychay. The 11th Army started to gain more support from the Armenian and Russian-populated villages in the region. Soviet historians claimed that the Ottoman Army had a numeral advantage over the Bolsheviks, but Mustafa Görüryılmaz notes that in reality, it was the contrary. He wrote that "during the beginning of the battle, number of Turkish military forces that have reached Azerbaijan was less than 5 thousand. While number of Red Army forces had surpassed 30 thousand with the arrival of Armenian groups". Number of Azerbaijani soldiers who fought in the battle is unknown, but it had to be less than 5,000, as the first military institution, although their possible involvement is unclear, Azerbaijani Special Corps (ASC), led by Ali-Agha Shiklinski was established on 26 June, consisting of less than 5,000 men. Ali-Agha Shiklinski's minor involvement in the battle also indicates that ASC might have fought alongside the Ottoman army. Furthermore, unknown number of volunteers from Aghdash, Aghstafa, Aghsu, Barda, Ganja, Goychay, Shaki, Yevlakh, Zagatala also joined the Ottoman–Azerbaijani coalition forces. Shaumian's and Red Army's forces were not composed of soldiers that originate from Azerbaijan. They were the soldiers that previously had served in the Russian Imperial Army, but defected after the October Revolution. Although most of the Dashnak forces that also fought during the battle were from Western Armenia, a large number of them were from Armenian Democratic Republic and Azerbaijan Democratic Republic. Shaumian, in a telegraph sent to Lenin said that "Bolshevik–Dashnak forces showed great courage in Battle of Goychay, but the commanders leading the army acted extremely cowardly". Additionally, he also noted that anti-communist propaganda carried out by the members of the British Secret Intelligence Service had also great impact in the defeat of the army. Russian cossack detachment in Persia, with around one thousand men was led by Lazar Bicherakhov. Although aligned with the White movement, Bicherakhov entered into negotiations with the Baku Commissars. Trying to save the situation, the Bolsheviks accepted his offer of assistance in the fight against the Ottoman–Azerbaijani coalition forces. His detachment arrived in Alat by sea from the port of Bandar-e Anzali. On 7 July his detachment was sent to the Kyurdamir front, but suffered heavy casualties. Bicherakhov himself was appointed commander of the Bolshevik–Dashnak–Cossack forces under the overall supervision of the Grigory Korganov. However, Lazar Bicherakhov did not fully obeyed Grigory Petrov's orders, which caused a confusion to arise between the Bolsheviks, Armenians and Cossacks. On 30 July, Bicherakhov, abandoned by the Bolshevik and Armenian units surrounded him, realized the futility of military operations against the Ottoman–Azerbaijani troops, and fled to Dagestan with his detachment, thereby exposing the northern section of the front. "I refused the command of the army of deserters and cowards", he wrote to his brother, Georgi Bicherakhov. In total, over the period of the fighting, according to Bicherakhov himself, his unit lost more than 100 soldiers. An Ottoman officer serving in Azerbaijan, c. 1918. The headquarters of the Islamic Army of the Caucasus was located in Ganja, then Elisabethpol. The members of the army in Ganja came to the conclusion that there was no physical barrier between them and the railway, and that this situation would pose a great threat to the capital. Nuru Pasha calculated that the real threat to Ganja would come from the Red Army forces near Goychay. The clashes occurred in the Goychay region were a turning point for the Red Army's withdrawal from Azerbaijan and the nation's independence. All the soldiers of the 5th Caucasian Infantry Division of the Caucasus Army Group had not reach Ganja yet. The 10th Caucasian Infantry Regiment crossed the Vanadzor–Dilijan road and entered Aghstafa. They reached Goychay on 15 June. Nazım Bey and his soldiers were sent to Myusyuslyu and Kyurdamir fronts. The 10th Caucasian Infantry Regiment, led by Osman Bey, was sent to Garamaryam front. After some days of fighting, the Ottoman forces defeated the Armenian troops, resulting in them retreating to Galakar village. Chief of Staff of the Islamic Army of the Caucasus in Myusyuslyu, Nazım Bey, instructed Osman Bey to carry out an intelligence assault on Armenian–Soviet forces. According to the order of Osman Bey, the 28th Battalion took action on 17 June against the Armenian–Bolshevik forces in the west of Garamaryam. Continuing the operation along the road, the 28th Battalion was caught by a Soviet ambush, as they failed to take timely measures. After a bloody fight, the Ottoman forces retreated to Veysalli village. Seeing that the situation became dangerous, Osman Bey moved his 30th and 28th Battalions to protect the 28th Battalion from both sides. However, these Battalions were attacked by Bolshevik forces in an area of extremely steep valleys and hills. The 29th Battalion, which was attacked from both sides, was able to move to Veysalli village after a very bloody fight. During the day, warring sides could not overcome each other in the hot summer weather, and when the darkness fell, they interrupted the clashes and moved to their original positions. This first significant battle of the Ottoman Islamic Army of the Caucasus in the region resulted in failure near Garamaryam. Morale of the Bolsheviks, especially the 3rd division and its leader Hamazasp Srvandztyan's morale mood had risen dramatically. Thus, they were further strengthened in the occupied Garamaryam and seized some important positions to attack Goychay. The Ottoman–Azerbaijani coalition army lost around 200 soldiers in the first battle that occurred near Garamaryam village. The exact number of wounded was 156. The Armenian–Soviet forces were able to capture few cannons and ammunition from the coalition army. The commander of the 10th Caucasian Infantry Regiment ordered Osman Bey to distract the Bolsheviks near Garamaryam in order to prevent them from attacking Goychay. Osman Bey did not expect additional forces from Ganja to reach the front. The Caucasian Army of Islam troops in Myusyuslyu, under the leadership of Nazım Bey, decided to launch an intelligence attack on the Red Army forces without the permission of the commander Nuru Pasha. They had launched this operation to gather enough information about the power and positions of the enemy without using advanced intelligence arms. At the time of the attack, the reserve forces were not even released. At the same time, the double envelopment maneuver used by the Ottoman army in such battles were not applied. Soldiers of the Azerbaijani Democratic Republic, c. 1918. 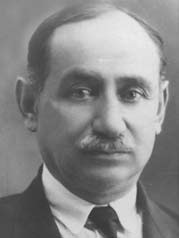 After this defeat, Nuru Pasha, commander of the forces consisting of Azerbaijanis Ali-Agha Shikhlinsky and 5th Caucasus Infantry Division chief of staff Rüştü Bey, left Ganja and arrived at Myusyuslyu Station on 18 June. There, they met with chief of staff of the Islamic Army of the Caucasus Nazım Bey and commanders of the 29th Regiment in Veysalli and discussed the status of war. Then, Nuru Pasha and few other high ranking generals moved to Goychay, where they met with commander of the 10th Caucasian Infantry Battalion Lieutenant Colonel Osman Bey and again discussed the state of war. According to reports, Bolshevik Red Army forces have burned down more than 50 villages that were on the road between Baku and Garamaryam. They massacred many of the Azerbaijanis living in those villages, and the one able to escape sought refuge in Goychay and surrounding settlements. Number of refugees from Shamakhi, Ismailly and surrounding settlements passed 400 thousand. Red Army forces were able to recruit Armenians and Russians from surrounding villages and gather an army of 30 thousand men. The 5th Caucasian Infantry Division attacking the Bolsheviks alone would have been a suicide attempt. Many of our soldiers fighting in this fierce warm died of dehydration. Since you're not joining the army, at least you have to help by carrying food and water for these soldiers. Nuru Pasha met and discussed with Azerbaijani intellectuals and elder in the Geokchaysky Uyezd. He was able to acquire their support, which resulted more people joining the army. Many teenagers and adults from Goychay, Aghdash, Yevlakh and even Barda arrived to the front line to receive military training. Rüştü Pasha was one of the Ottoman commanders who participated in the battle. In later years, he would write a book called Büyük harpda Bakü yollarında. 5-ci Kafkasya piyade firkası. (In the Roads of Baku, during the Great War. 5th Caucasian Infantry Regiment. ), recalling the events that occurred during the Caucasus Campaign, in the perspective of the Islamic Army of the Caucasus. Stepan Shaumian was a Bolshevik revolutionary and politician of Armenian descent. During the Raid on Goychay, he was the main leader of the Bolshevik–Dashnak forces. These forces, under his commander-ship, committed massacres throughout Azerbaijan. Nuru Pasha had requested Eastern Army Group officers to send two important reports to Istanbul. The first report was sent on 27 June, while the second was sent on 1 July. According to this report, the Bolsheviks were gaining power in Caucasus, and Azerbaijanis could not form a major force for the army. It was concluded that 5th Caucasian Infantry Division could not operate in the region. In the reports, Nuru Pasha stated that "the newly formed Caucasian Islamic Army cannot achieve success from its activities. We expected that at least 30 thousand Turks [Azeris] in here would join the army. Whereas number of recruits is 37. Under these circumstances, to solve the Baku question, arrival of another division would be appropriate. Muslims [Azeris] here talk much, but work less. They are carouse and greedy people. We see little to no help and selflessness from them. To ensure the liberation of Azerbaijan and Baku under these circumstances, have become very essential for the Ottoman State to protect its faith among the people. 5th Division needs urgent support. Otherwise, our situation would not be good at all". The frontline between Ottoman–Azerbaijani and Red Army forces was in a stalemate. Nuru Pasha was in fear of imminent defeat and knew that the Entente was going to launch more attacks on the Ottomans, which would result in the army not sending additional men to Caucasus. He sent a letter to the commander of the 5th Caucasian Infantry Division Mürsel Bey. On the letter, Nuru Pasha stated that the troops will move to the lines on 23–24 June and an assault is expected to launch on 27–28 June. During the preparations, Bolshevik spies transferred crucial information to the Red Army. Bolsheviks launched an assault on 27 June with three battalions. Some of them moved to north and stroke the 10th Caucasian Infantry Regiment from behind. From south, they conducted minor skirmishes as to lower the Ottoman morale. Meanwhile, 25th Infantry Battalion and 2nd Cavalry Regiment requested few days ago arrived and immediately incorporated into the 10th Caucasian Infantry Regiment. Fierce fighting resulted in Ottoman forces successfully defending against the Bolshevik assault. The 10th Caucasian Infantry Regiment initiated a counter-attack on the Red Army and pushed them about 3 kilometres (1.9 mi) away from their previous positions. On 29 June, the 5th Caucasus Infantry Division was preparing for its first combined operation in Azerbaijan. The initial attack was going to be carried out with the 10th and 13th Caucasian Infantry Regiments, while the 2nd Cavalry Regiment was going to attack the Bolsheviks from their left flank. During this point, the Ottoman water, food and ammunition supplies were scarce. Due to weather being extremely hot on noon, both sides could not initiate a full assault. Ottoman water supplies were coming from Goychay. Because of the supply issue both sides were fighting with bayonets. At the end of the day western parts of the Garamaryam was fully, while the northeastern part of it was partially controlled by the Ottoman–Azerbaijani forces. Western parts of Garamaryam was flat. Bolsheviks' retreat routes were drastically narrowed, as to their east, Aghsu had high hills. The Bolshevik forces decided to flee Garamaryam as fast as possible. On 30 June Red Army launched a surprise attack on the 10th Caucasian Infantry Regiment, but failed to gain any success. During the battle for Garamaryam the Azerbaijani volunteer cavalry forces were led by Habib Bey Salimov. Red Army forces launched a night attack on 5th Caucasus Infantry Division in Goychay from their left flank with the help of local Armenian and Russian villages. The attack force consisted of about a thousand troops, two cannons and two machine guns. Bolshevik forces under the leadership of Emirov, an ethnic Armenian launched an attack on Pazavand and Kyrdadut villages. The civilian population of Goychay fled to Ujar. There was no regular soldier in the city. That night, a new volunteer cavalry division, under the leadership of general-major Ahmad Hamdi Gara Agha Zadeh arrived to Ganja from Gazakh. They immediately marched to the city. Head of General Staff informed the 25th Infantry Battalion about the attack an ordered them to help Goychay. They also called for commander of the Aghdash region general Ali İhsan Sâbis's help. The Azerbaijani cavalry forces under Ahmad Hamdi's leadership tried to stall off the Bolshevik forces, but we're fully defeated at 7 AM. 25th Infantry Battalion and some militia from the Garamaryam front had reached Goychay. Nuru Pasha, seeing that Goychay is in verge of occupation and that there is a threat of encirclement, sent some of the forces serving in Garamaryam and Aghdash to aid the defendants in Goychay. 9th Caucasian Regiment, which was stationed in Poylu, under the comandership of Cemil Cahit Toydemir, and militia from Shaki and Zagatala, led by Yusif bey Tahirov were ordered to move to Goychay. Receiving artillery and fire support, 25th Infantry Battalion and local militia successfully encircled the Bolshevik forces. The Bolsheviks suffered mass casualties. The rest of the Bolshevik forces, now defeated, had to flee to Garamaryam, although they were attacked by the 13th Caucasian Infantry. Afterwards, these Bolshevik forces were attacked by 5th Caucasian Infantry Division, which resulted in Bolsheviks suffering more casualties. Stationed in Garamaryam, Bolshevik forces were received an attack, yet again. This caused them to flee to East, to Baku. Large numbers of weapons and ammunition were seized from the Red Army. Minor Armenian and Russian uprisings in Aghdash, Goychay and Ismayilli were suppressed. The coalition forces also seized their weapons. Most of the Ottoman casualties and injured personnel were sent to Ganja. Fallen Turkish soldiers were buried in Khanlar and Goranboy. As moving to Baku will create a threat of Bolsheviks destroying the oil reserves in Baku, we must avoid doing this at any cost for the sake of general military goodwill and administration. For this reason, I order that the 5th Caucasian Infantry Division cannot attack Baku without my approval. Please, do not send additional forces to Nuru Pasha without my approval, and return the additional forces already sent to his command. As previously informed, Nuru Pasha will concentrate his forces and will be limited to stop the Bolshevik advance. Briefly speaking, I'm requesting you to prioritize the strengthening of Nuru Pasha's and our forces in Ganja with available additional soldiers, weapons and ammunition without wasting more time before the situation worsening with Feldmann's arrival, and informing of Nuru Pasha with my personal and secret letters sent to you, and not allowing Germans to know about this immoral style of communication. ^ Azerbaijan Democratic Republic declared its independence on 28 May 1918, but did not have any military strength. Until then, Azerbaijanis only served in Caucasian Native Cavalry Division (Savage Division), which consisted of less than 10 thousand soldiers. On 26 June, Azerbaijani Special Corps was established, consisting of 5 thousand men that had served in the so-called "Savage Division". ^ a b "Azərbaycan ordusu necə yarandı?" (in Azerbaijani). 26 June 2016. Archived from the original on 13 September 2018. Retrieved 17 March 2019. Azərbaycan Xalq Cümhuriyyəti Nazirlər Şurasının 1918-ci il 26 iyun tarixli qərarı ilə Çar Rusiyası dövründə "Vəhşi diviziya" ("Дикая дивизия") adlanan keçmiş tatar süvari alayının əsgərlərindən formalaşdırılmış və general Əliağa Şıxlinskinin rəhbərlik etdiyi Müsəlman Korpusunun əsasında ilk ordu hissəsi, 5000 nəfər şəxsi heyəti olan "Əlahiddə Azərbaycan korpusu" yaradıldı. İyulun 11-də isə hökumət fərmanı ilə hərbi səfərbərlik elan edildi. ^ a b Suleymanov 1999, p. 189–190. ^ Rüştü & Istanbul, p. 37–38. ^ Suleymanov 1999, p. 191. ^ a b Birinci Dünya hərbində Türk hərbi, Qafqaz cəbhəsi, III ordu hərəkatı (II c ed.). p. 557. ^ a b Ganiyev 2003, p. 22. ^ AMEA-nın 1990-cı il "Tarix-Fəlsəfə-Hüquq" seriyası. ANAS. 1990. ^ "Qafqaz İslam Ordusu". "Azerbaijan" newspaper (№67 (6342)). 2 April 2013. p. 4. ^ Rüştü & Istanbul, p. 38. ^ Görüryılmaz & 2015 179. ^ a b c d Birinci Dünya hərbində Türk hərbi, Qafqaz cəbhəsi, III ordu hərəkatı (II c ed.). p. 559. ^ a b c d Birinci Dünya hərbində Türk hərbi, Qafqaz cəbhəsi, III ordu hərəkatı (II c ed.). p. 561. ^ a b Rüştü & Istanbul, p. 48. ^ a b c Rüştü & Istanbul, p. 70–72. ^ a b Suleymanov 1999, p. 246. ^ Kadyshev, A. B. (1960). Интервенция и гражданская война в Закавказье (in Russian). Moscow. p. 118. ^ Allen; Muratov, Pavel (2017). Битвы за Кавказ. История войн на турецко-кавказском фронте. 1828–1921 (in Russian). Litres. p. 717. ISBN 9785040181384. ^ Ganin, A. V. "Бичераховы". In Osipov, Yury. Great Russian Encyclopedia. ^ a b Birinci Dünya hərbində Türk hərbi, Qafqaz cəbhəsi, III ordu hərəkatı (II c ed.). p. 558. ^ Rüştü & Istanbul, p. 33–38. ^ Rüştü & Istanbul, p. 44–45. ^ Rüştü & Istanbul, p. 45. ^ Rüştü & Istanbul, p. 45–46. ^ a b Rüştü & Istanbul, p. 46. ^ Rüştü & Istanbul, p. 46–47. ^ a b Rüştü & Istanbul, p. 47. ^ Görüryılmaz 2015, p. 138. ^ Rüştü & Istanbul, p. 53–54. ^ Rüştü & Istanbul, p. 59. ^ a b Birinci Dünya hərbində Türk hərbi, Qafqaz cəbhəsi, III ordu hərəkatı (II c ed.). p. 560. ^ Rüştü & Istanbul, p. 59–60. ^ Rüştü & Istanbul, p. 62. ^ Rüştü & Istanbul, p. 64. ^ Rüştü & Istanbul, p. 68. ^ Rüştü & Istanbul, p. 69. ^ Rüştü & Istanbul, p. 73–79. ^ Görüryılmaz 2015, p. 172–173. ^ Görüryılmaz 2015, p. 173. ^ Birinci Dünya hərbində Türk hərbi, Qafqaz cəbhəsi, III ordu hərəkatı (II c ed.). p. 564. Süleymanov, Mehman (1999). Qafqaz İslam Ordusu və Azərbaycan. Baku: Hərbi nəşriyyat. Qəniyev, Seyfəddin (2003). 1918-ci il Şamaxı soyqırımı, I kitab. Baku: "Nurlar" nəşriyyatı. p. 152. Görüryılmaz, Mustafa (2015). Türk İslam Kafkas Ordusu ve Ermeniler (1918). Istanbul: Babıali Kültür Yayıncılığı. p. 616. Rüştü. Büyük harpda Bakü yollarında. 5-ci Kafkasya piyade firkası. Istanbul. "Göyçay və Cavad qəzalarında erməni vəhşilikləri" [Armenian atrocities in the Geokchaysky and Javadsky Uyezds]. "Azərbaycan" newspaper. 30 March 2017. Archived from the original on 30 March 2017. Retrieved 20 May 2018.